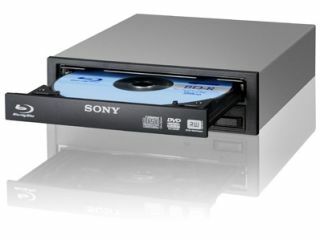 Sony has announced that it will be producing half-height internet Blu-ray Disc rewritable drives – which will allow playback of 3D Blu-ray movies. Sony Optiarc America has announced that the new drives have a 12x recording speed for single BD-R content and 8x for dual-layer. "Available in a retail and OEM configuration, the new drives are an ideal replacement burner for a standard DVD drive while offering all the benefits of Blu-ray Disc technology, including Blu-ray 3D high-definition playback," explained Sony's release. "The internal drives feature a Serial ATA (SATA) interface and standard 5.25-inch form-factor for easy installation inside a desktop PC," it adds. "They also incorporate intelligent monitoring for consistent recording, and adjusting read-speed technology which enhances smooth playback." The drives will be available in November in the US, although there is as yet no details on UK release date or pricing.